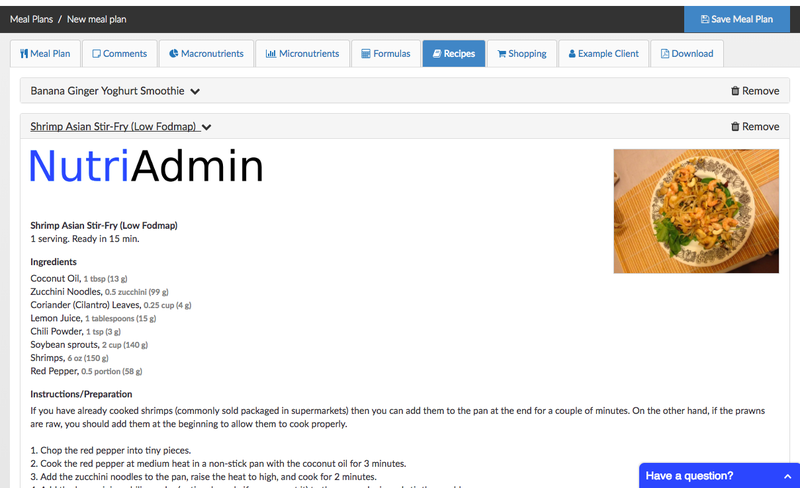 This tutorial shows an example of how to auto-generate a low FODMAP meal plan. You can follow the steps below to create your own plan. Step 1: Click on Meal Plans. 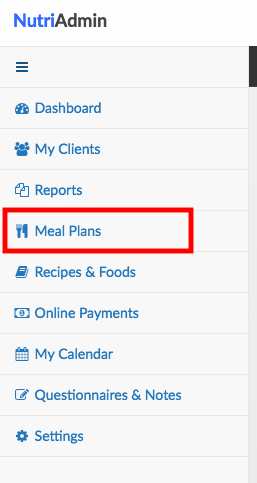 Step 2: Click on New Meal Plan on the top-right corner. 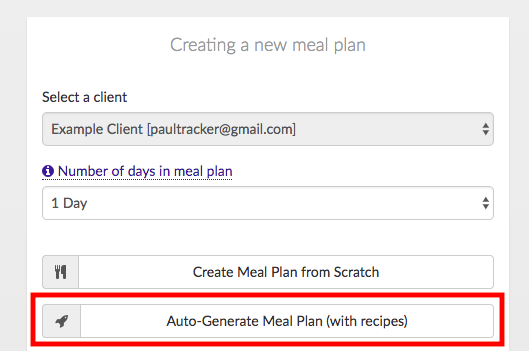 Step 3: Select a client, then click on Auto-generate Meal Plan (with recipes). Step 4: Select a diet from the list of options. In this case, we are opting for the Low Fodmap diet – reintroduction phase (Lactose). There are many other options for diets, so you can choose the one you need for each specific client. 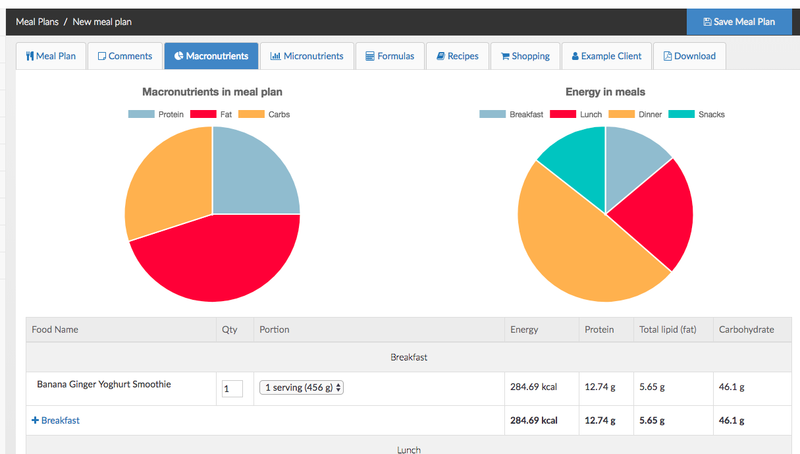 Step 5: Adjust the calories and macronutrients to the needs of your client. 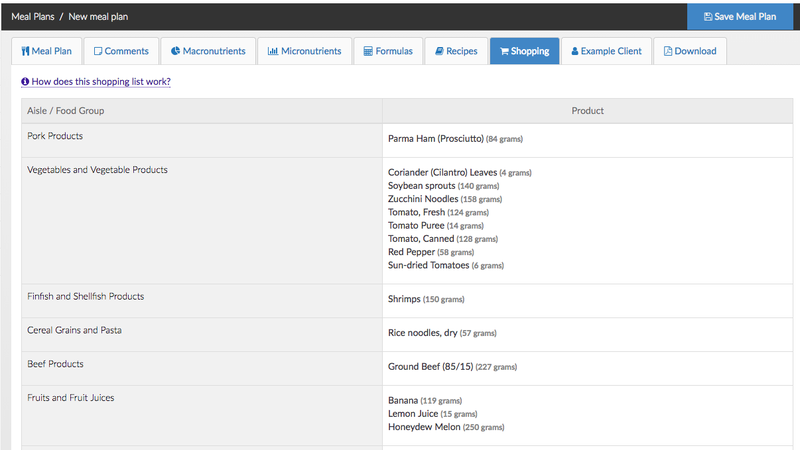 Then, click on Generate Meal Plan. Step 6: Choose amongst the available options. 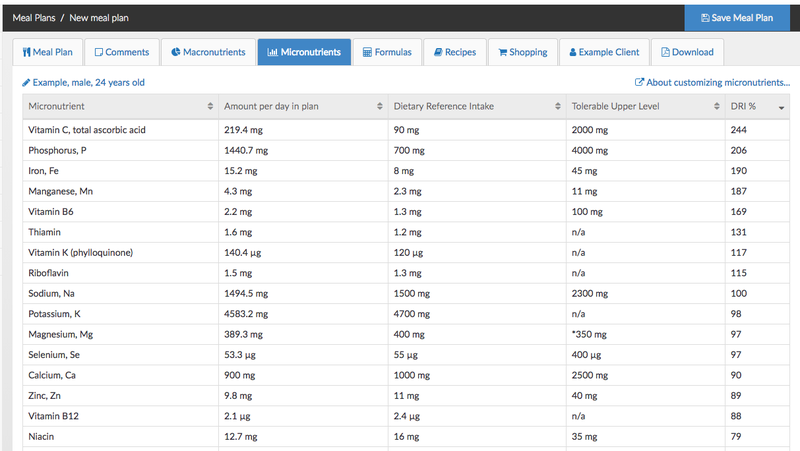 All the options generated will match your selected diet and calories/macronutrients. Note: If you deviate significantly from the default macronutrient parameters for a diet, you may get no results from the database. That's it. Your meal plan will be generated. Below are a few screenshots showing the final result. You can edit/tweak the resulting plan, or download it as it is and hand it in to a client.